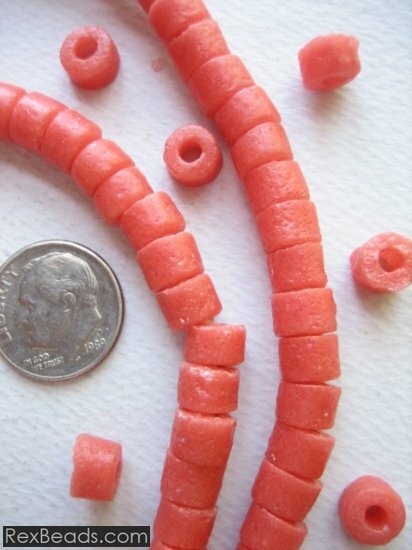 Sand cast beads are also referred to as powdered glass beads and feature glass beads crafted by hand. 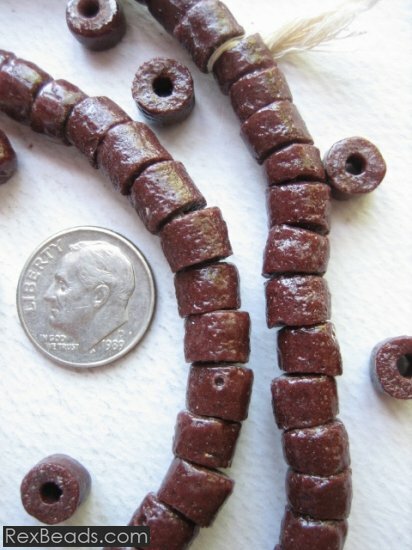 These beads were popularly used as currency during trade in West African countries such as Ghana. 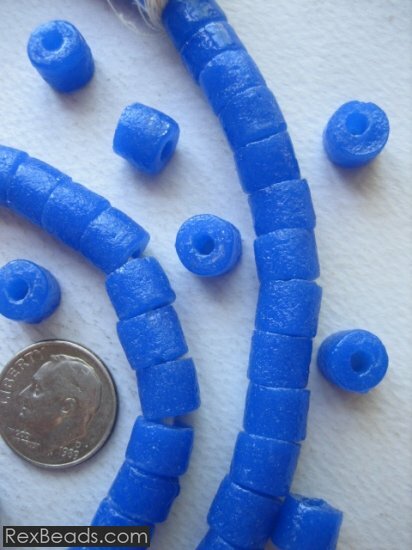 These beads are made in a process where bead makers grind up bottles or other scrap glass to produce recycled beads. These are then fired in clay molds at a relatively low temperature in order to give the beads texture. 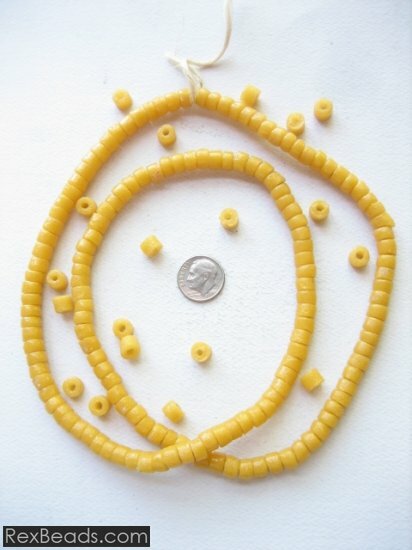 Sand cast beads are available in beautiful colors such as blue and may be strung bead to bead to produce beautiful strands on raffia.